Siri is one of the most powerful tools on the iPhone and iPad, but what if you can't or don't want to talk to your device? Fortunately, it's possible to your type commands to Siri instead of saying them. Instructions in this article apply to iPhones and iPads running iOS 11 or later unless otherwise noted. Type to Siri is an accessibility feature designed for those who can't or would have difficulty using their voice to control Siri. It can be quite helpful if you have a Smart Keyboard connected to your device. Tap General on the left menu. Choose Accessibility to list out all of the accessibility features. Tap the switch next to Type to Siri to turn on the feature. You have the option to leave voice feedback Always On or set it to only work in Hands-Free mode. If you are using an iPhone, you will also have an option to Control with Ring Switch. You can type or speak to Siri once you have Type to Siri enabled. 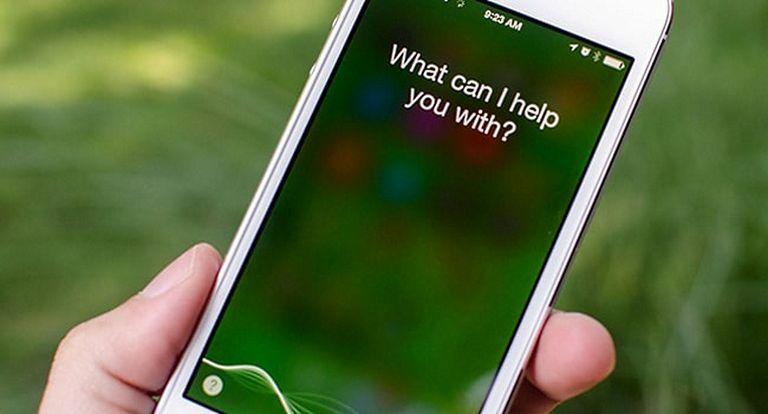 By default, Siri will expect text commands. Activating Siri brings up the on-screen keyboard if you don't have a external keyboard connected to your iPhone or iPad. Type in any command you might otherwise speak to Siri, such as, "Hey Siri, text Dave I will be late" or "remind me to take out trash at 7 AM tomorrow." Don't want to type it? Enable voice dictation by tapping the microphone icon located to the left of the space bar. When you select Voice Dictation, Siri's voice recognition will be activated. Once you finish speaking your command, tap Keyboard at the bottom of the screen. This trick is a convenient way to quickly switch between spoken and text commands while using an iPad. Can You Use Type to Siri on Older Versions of iOS? Type to Siri debuted with iOS 11, but you can actually give text commands to Siri in previous versions. When you speak a command to Siri, she displays the text of that command on the screen. Tap Edit below the text to type any command even if it's unrelated to the one you originally gave. This feature is helpful when Siri has difficultly understanding you because it allows you to correct any miscommunication. Using it on a regular basis can be cumbersome given that you must first speak a command. Siri isn't the only way to control your iOS device using a keyboard. Spotlight Search may be one of the most underutilized features on the iPhone or iPad. It can search for almost anything on your device including items stored within your apps. If you type in the name of a movie or TV show, it will let you know which apps have it available, so it will tell you Thor: Ragnarok is available on Netflix and Doctor Who can be streamed through Amazon Prime. Perhaps the best use for Spotlight Search is to quickly launch any app without searching for the actual icon. It can also play songs, search through email, or even look for restaurants via Apple Maps and Yelp.